GeoSIM's multi-network, global roaming M2M SIM card is designed specifically for your M2M devices. It works in Alarms, GPS trackers, pet trackers, remote sensors, control systems and thousands of other M2M applications. Global M2M SIM uses tier one carriers to ensure the best quality connections and reliability for your M2M applications. Choose Global M2M SIM to connect your M2M device with confidence. Global M2M SIM is distributed by Geodesa Limited. Geodesa has been supplying Global SIM cards for phones and M2M devices since 2005. We have been working with GeoSIM for a while. The support we have received has always been excellent and timely. 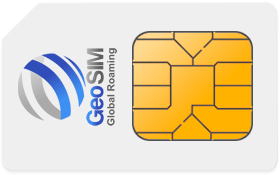 We would recommend GeoSIM to any company who needs a reliable M2M SIM card provider for their application or M2M device. We use GeoSIM M2M sim cards in our GPS fleet tracking service. Our trackers are used in vehicles all over southern Europe and prove to be reliable and cost effective. Global M2M SIM cards work all over the world, in over 200 countries and on over 1100 networks, ensuring that your M2M device stays connected, wherever it is. Some people refer to this as “Roam at Home.” Our M2M SIM cards are not tied to any single network and will roam between multiple networks. This means that if one particular network has poor coverage at a location, your Global M2M SIM will switch to another network to keep your M2M device connected. For example, as a GPS tracker moves around the country it will encounter “black spots” or locations where one particular network does not have coverage. In such a situation, SIM cards that only use one network would lose a connection so would not be able to send GPS tracking information. With Global M2M SIMs, this does not happen because the SIM will switch to another network, maintaining the connection and keeping your data flowing. Example rates: Zone 1 & 2 UK & Europe - Data £0.10 per MB (1kb billing). SMS to any country or Zone £0.07. Calls in zone £0.12 per min. Zone 3 - Data £0.14 per MB. SMS to any country or zone from £0.10. Calls in zone 3 from £0.40 per min. Zone 4 - Rest of World Zone 1 and 2 countries Austria, Belgium, Bulgaria, Croatia, Cyprus, Czech Republic, Denmark, Estonia, Finland, France, French Guyana, French West Indies, Germany, Gibraltar, Greece, Hungary, Iceland, Ireland, Italy, La Reunion, Latvia, Liechtenstein, Lithuania, Luxembourg, Malta, Netherlands, Norway, Poland, Portugal, Romania, San Marino - when on Vodafone, Slovakia, Slovenia, Spain, Sweden, United Kingdom, Vatican City Ste - when on Vodafone Zone 3 Countries Andorra, Croatia, Faroe Islands, Gibraltar, Guernsey, Jersey, Monaco, San Mario (Off Vodafone - see Zone 1), Switzerland Also included in zone 3 when roaming on Vodafone (other networks are charged out of zone). Albania, Australia, Fiji, Ghana, India, Jersey, New Zealand, Qatar, South Africa, Turkey Zone 4 countries Rest of world See full rates page for details. Pay for what you use, not what you don’t! Most M2M SIM suppliers want you to pay a fixed monthly charge for an inclusive allowance for Data or SMS. The vast majority of M2M devices do not use anywhere near the quantities paid for in “bundles”. Global M2M SIMs help keep your costs down and do not tie you in to any regular monthly payments. Pay As You Go and only pay for what you use, when you use it. While we aim to make buying, activating, topping up and setting up as easy as possible, we appreciate that sometimes you simply just need to speak to a human. 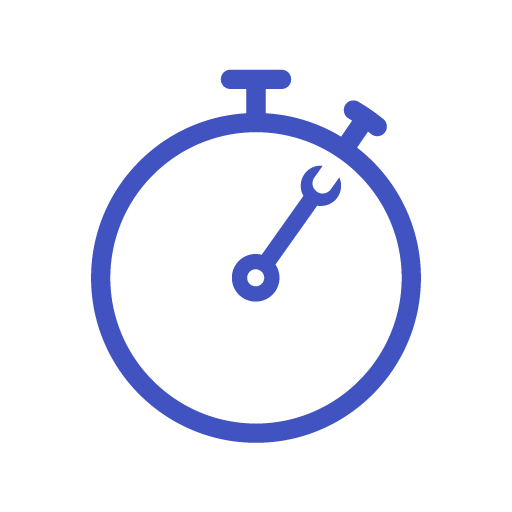 We provide fast and friendly technical support, with an aim to make connecting your M2M devices as smooth as possible. Each SIM comes as a “triple cut” SIM and includes a standard (2FF), Micro SIM (3FF) and Nano SIM (4ff) sizes. Just press out the size of SIM you need and insert in to your device. NanoSIM (4FF) are normally used in some smartphones such as later versions of iPhones, Samsungs, HTC and other leading brands. Although our SIMs are designed for M2M applications they can also be used for data use in phones, MiFi devices and modems. Setting up your M2M device could not be simpler. No proxy servers, usernames, passwords or SMS service centre numbers (SMSCs). Just set the Access Point Name (APN). No proxy servers, usernames, passwords or SMS service centre numbers (SMSC’s). Just set the APN for a data connection, make sure there is credit on the SIM and you’re ready to connect.